Join us this Friday for author and activist Colleen Patrick-Goudreau! 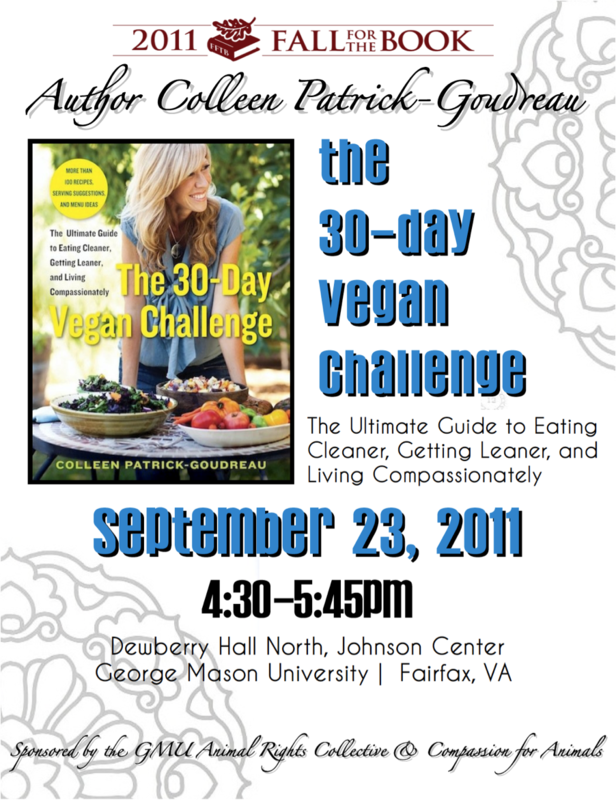 Colleen will be presenting at Fall For The Book, discussing her latest endeavor “The 30-Day Vegan Challenge: The Ultimate Guide to Eating Cleaner, Getting Leaner, and Living Compassionately.” Learn about how a vegan lifestyle is excellent for improving personal health and increasing compassion for animals and the environment. Colleen is an educator, activist, cooking instructor, public speaker and the award-winning author of five books. She is also the dynamic host of the podcast “Vegetarian Food For Thought” which works to educate people to make informed food choices, to debunk myths about veganism and animal rights, and to inspire others to live compassionately. Colleen’s books will be available for purchase at the event! WHEN: Friday, September 23rd 2011 | 4:30-5:45pm FREE! This event is sponsored by the GMU Animal Rights Collective and Compassion for Animals. Join us and Compassion for Animals as we volunteer to help care for the rescued animals at Poplar Spring Animal Sanctuary. Compassion for Animals is organizing a combination “volunteer day” and guided tour at Poplar Spring Animal Sanctuary. 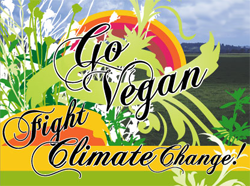 Please sign up for either event or both by RSVPing to info@compassion4animals.org. Volunteering starts at 9am, and the tour starts at 1pm; there will be a lunch break in the middle. The tour can accommodate up to 40 people—bring your friends! Details below. We’re especially interested in attracting people who have never been to this wonderful, peaceful place—but anyone can sign up! Poplar Spring is a 400-acre oasis near Poolesville, Maryland, about 45 minutes from DC. The residents of Poplar Spring are 200 “farm animals” rescued from abuse, neglect, abandonment, and cruelty. Their stories are often heartbreaking, but their resilience and recovery—and the compassion they’ve received from caring humans—is inspiring. Come meet the chickens, turkeys, cows, pigs, goats, sheep, rabbits, and other animals who live freely at Poplar Spring. You may be amazed at some of their personalities. There are lots of chores to be done at the sanctuary, and on the weekends they’re done by volunteers. We’ll spread hay, clean barns, refill water bowls, brush horses, and—yes—shovel poop. It usually takes about three hours to get all the tasks done. Volunteers may want to bring an extra pair of shoes and socks, and maybe an extra shirt, as well as a pair of work or gardening gloves. You may also want to bring some water, although you can buy bottled water at the sanctuary. Although we’ve helped out at Poplar Spring for years and have never seen any accidents, and you’ll be led by experienced, safety-conscious sanctuary directors and volunteers, the sanctuary does ask that first-time volunteers fill out this volunteer application form AND waiver form (both are necessary); you can either mail them back to Poplar Spring or bring them with you when you show up. The work is not particularly strenuous; it is more like house-cleaning than aerobics. Volunteers on any given day may range from teenagers to those drawing Social Security; you can participate at your own pace. The environment at Poplar Spring is very friendly and supportive. Volunteers under 16 years old must be accompanied by an adult. You’ll likely get a chance to rub a pig’s belly, hold a chicken, and pet turkeys, goats, and other animals. Very cool stuff. But please do so under supervision, as the long-time volunteers and sanctuary directors will have useful tips and will know which animals like (or do not like) that sort of interaction. 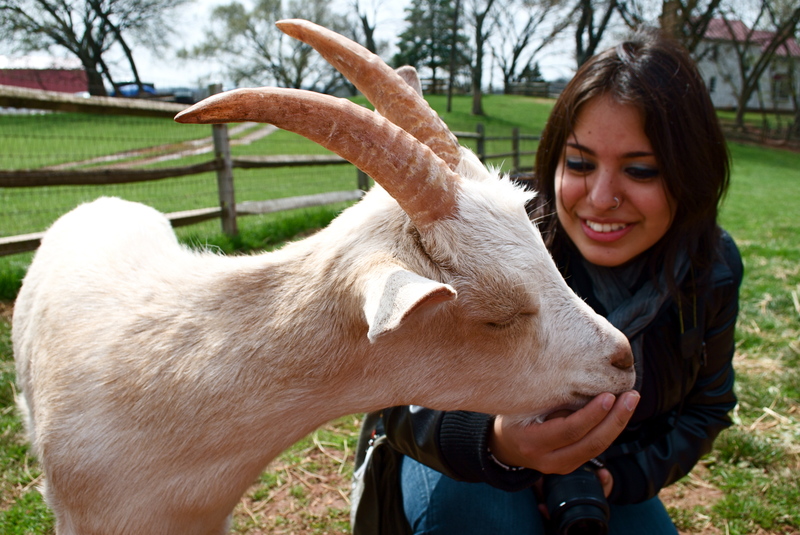 If you’ll also be taking the tour, there will also be opportunities to interact with the animals then. Note: We have to limit the number of volunteers for sanctuary chores to about 10, so it’s important that you RSVP. When you arrive, open the gate to drive in, then close the gate behind you. Drive about a mile along the gravel road until you get near the end and can see some of the buildings on the property. We’ll gather there. You can park your vehicle on the grass by the side of the road. We can probably arrange some carpooling. Let us know if that’s something you’d be interested in. This is the protest schedule for the 2011 Ringling Brothers and Barnum & Bailey shows at the George Mason University Patriot Center in Fairfax, VA. Each protest will last from an hour before the show starts to the start of the show. A vigil will follow each night after the show. Signs and leaflets will be provided. Please come and lend your voice to these animals! Meet at the West entrance of the Patriot Center. Take the Metro Orange Line to Vienna/Fairfax. Then take the CUE Bus (Gold 1, 2 or Green 1, 2) to GMU. Once you arrive at GMU, walk south to the west entrance of the Patriot Center. In other words, once you arrive at the bus stop at GMU, follow Patriot Circle until you find the west entrance to the Patriot Center. You will reach the Patriot Center regardless of the direction you travel on Patriot Circle. The protest will at the west entrance of the Patriot Center. If you are early, we might be at the intersection of Braddock Road and Roanoke River Road. That area is south and near the west entrance of the Patriot Center. George Mason University is located at 4400 University Drive, Fairfax, VA 22030. Animals belong in their native habitats, not in the circus. Numerous circuses use animals such as elephants, tigers, horses, and zebras. 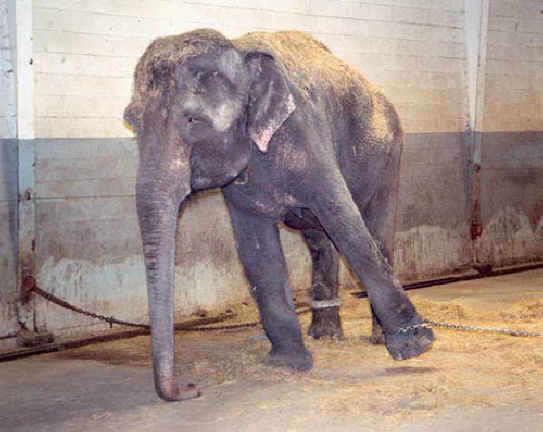 These animals are caged, routinely beaten to incentivize their performance of tricks, and suffer both mentally and physically during their captivity in the circus. 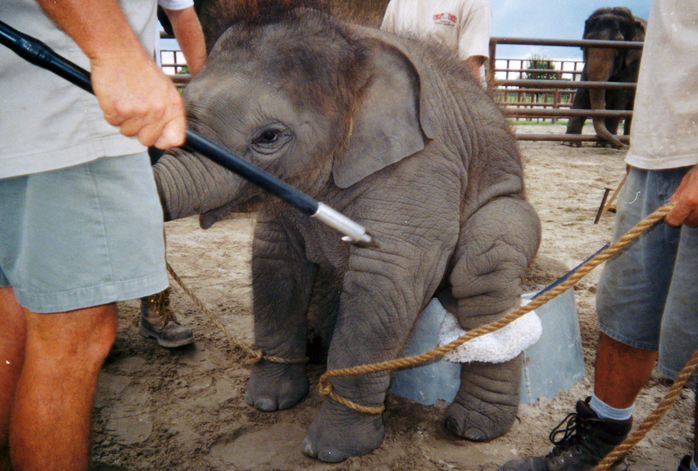 The only reason animals are used in circuses is for profit. Their captivity does not educate children about animals. 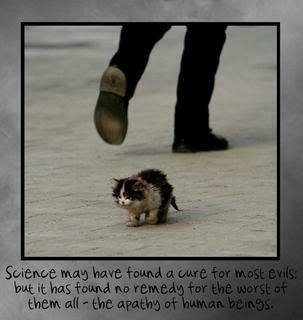 Rather, it sends a message that animal abuse and captivity is acceptable. In order for animals to perform circus tricks, they are beaten with metal bull hooks, shocked with electrical devices, tied down with ropes, and whipped. They are either stolen from their natural habitat in the wild, or they are bred in captivity and removed from their mothers before their first birthday. These animals spend their lives in chains and travel eleven months of the year, through weather conditions considerably different from their native habitats. The remaining month is spent in a facility where the animals receive some of the most brutal training, out of the view of the public. 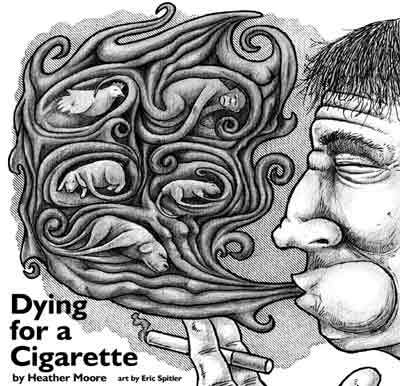 A lifetime spent on concrete or idling in tights cells, results in numerous physical and psychological ailments, such as osteoarthritis, tuberculosis, poor caging and housing conditions, and/or insanity. These health issues frequently lead to the premature deaths of the animals through euthanasia, long before they would have reached their natural lifespan. Visit our Circus page for more information about the wrongs or captivity and cruelty for entertainment. Watch these videos and learn more about the standard practices Ringling employs to force animals to preform tricks for the entertainment of humans. faculty could earn $1 for watching a 4 minute segment of the film which documents the suffering and exploitation of animals endured as standard practices at factory farming facilities and slaughterhouses. 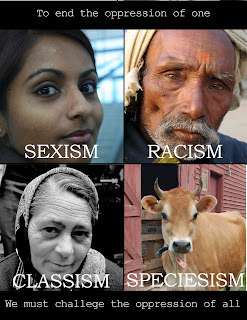 We encourage everyone that partakes in meat consumption and animal exploitation to educate themselves about what they are endorsing and to question if these choices are truly aligned with their morals. 36 people watched the full segment, and 5 people refused to take the dollar. The next PPV at GMU is on Thursday, October 7, from 3-7pm at JC kiosk B! Frogs are the most threatened group of animals on the planet and are rapidly going extinct due to human activity. Nearly one-third of the world’s 6,450 amphibian species are in danger of extinction and up to 200 species have completely disappeared in the last 30 years. To learn more about amphibian conservation, visit Save the Frogs! Over the last two weeks, protesters have gathered around the Patriot Center to rally against the Ringling Bros. and Barnum & Bailey Circus for alleged animal cruelty of their circus animals. However, according to some protesters, George Mason University police have been unfairly targeting them and inhibiting their protests. Through police barricades and caution tape, protesters claim that the Mason police force has been infringing on their right to protest by keeping them away from the public. “We were told that the barricades were placed there because, in the past, children were looking over [their] shoulders at us and could have fallen down the steps,” said Qualls. Other protesters at the event felt similarly. According to Zinzer, he and a group of activists were preparing to leave the Patriot Center after protesting the circus when several Mason police officers approached them. After surrounding Zinzer, Zinzer said he was detained by Lt. Kevin Barrett and issued a trespass warning; he was then escorted off campus. However, according to Mason police, the trespass warning was warranted. Filed under: AR Event, ARC Events, Campaign, Local Events, Protest, Use Your Voice! The Patriot Center, owned by George Mason University and operated by Washington Sports and Entertainment LP, is interested in profit. Unlike several other GMU venues, such as the Center for the Arts and the Black Box theater, the Patriot Center has few obligations to GMU. Its primary obligation to the university is maximized return on investment. The Patriot Center embraces Ringling Brothers because it generates millions of dollars in revenue and nearly as much in profit. The Patriot Center cares almost as much for Bob Dylan, who played at the Patriot Center in November 2009, as it does for Ringling Brothers. If the circus did not generate a lot of profit for both Washington Sports and Entertainment and GMU, its contract would not be renewed. This is an example of seeing the trees and missing the forest. While the primary concern and focus of circus protesters is, and should be, the use of non-human animals in the circus, protesters should also challenge corporate power. George Mason University, Washington Sports and Entertainment, and Ringling Brothers, are all influential entities in the Washington Metropolitan area. George Mason University is located in Fairfax, Virginia. Washington Sports and Entertainment is based in Washington, DC. Ringling Brothers is owned by Feld Entertainment, which is headquartered in nearby Vienna, Virginia. Their preferences, more often than not, supersede the preferences of individuals. Unfortunately, all three entities hinder the rights of individuals and instead, embrace an exclusionary corporate model. If protesters are able to push particular boundaries, such as moving closer to the Patriot Center, challenging unjust police orders, and escalating protest tactics, they will set precedent for future demonstrations as well as for individuals who seek to challenge corporate power on campus. Universities should be progressive. There is nothing progressive about animal abuse and ignoring concerns of both students and community members. Money talks and Ringling Brothers contributes more to the general revenue fund at GMU than protesters and their supporters. 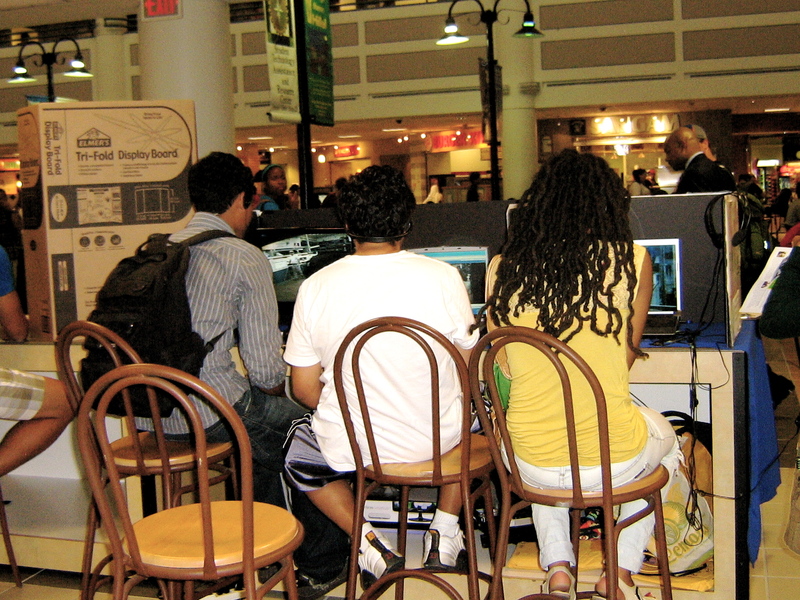 Relative to prior demonstrations, the GMU Police in 2009 were less intrusive and more cautious in their treatment of circus protesters. However, several GMU Police officers, including Lt. Kevin Barrett, were seen throughout the first three days of the 2009 demonstrations coordinating with Patriot Center employees and alleviating concerns of the Contemporary Services Corporation (CSC) staff members. The CSC is the company hired for crowd control. It appeared that GMU Lt. Barrett did not want to offend the CSC staff. He also comforted a CSC staff member who was visibly upset. Everyday of the protests, John F. Besanko, the Assistant General Manager of the Patriot Center, spent much of his time with Lt. Barrett. While this is not an indication of wrongdoing, Lt. Barrett followed Besanko around the Patriot Center and appeared to take orders from him. In contrast, this is misconduct. On April 11, 2009, a protester was assaulted by a circus patron. The patron hit the protester with her purse without provocation and the protester did not respond. Lt. Barrett did a cursory investigation of the female patron yet threatened to arrest the protester on bogus charges. Asserting individual rights is not rude as it upholds Constitutionally protected rights. Ignoring police officers, even when they are asking questions that may seem harmless, is not rude. For example, if an officer asks when you will return to protest, it is okay to ignore the officer and not acknowledge he or she spoke. The officer is attempting to obtain intelligence on your actions and/or your group’s actions. The only situation when speaking with an officer may be beneficial is when it is unclear if you are being detained. If you suspect you are being detained, ask the officer, “am I being detained?” If the answer is no, then leave. If you are being detained, you are legally obligated to stay with the officer (although you do not have to speak). Although animal rights activists moved closer to the Patriot Center in recent years, distributing literature and holding signs will not stop the circus. Ringling Brothers will stop using the Patriot Center, and other facilities, when the social cost of patrons is raised to uncomfortable levels. In turn, their profit will shrink. Anti-war demonstrators are often effective when they publicly display graphic images of mutilated bodies blown apart by weapons. Supporters of war and occupation, as well as individuals who are indifferent, often find it difficult to view these images. The net effect is often beneficial to the protester and his or her cause. Broadcasting videos of animals being abused, using loud bullhorns, and publicly displaying graphic pictures of injured or dead circus animals, can be effective. This should be targeted at rational individuals. For example, children should be shown intense images but not harassed or followed. If a parent or patron is receptive, try something mild. If a parent or patron is indifferent, drastically raise the social cost of attending the circus to the point where it becomes extremely uncomfortable to be present.